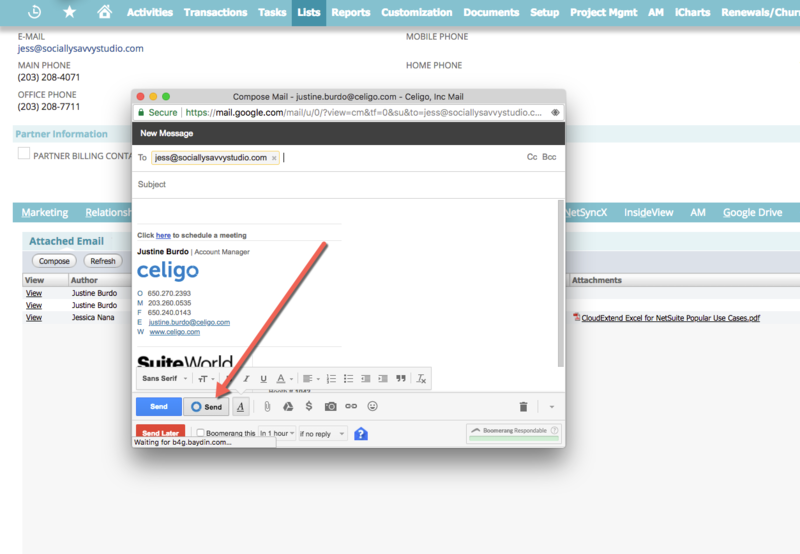 How to send Gmail messages from within NetSuite using CloudExtend. 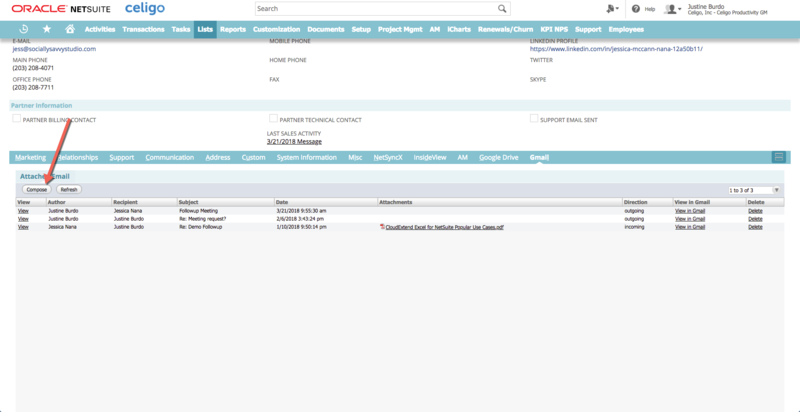 Step 1: Click on the Gmail tab on a NetSuite record and click Compose. Step 2: Your Gmail compose frame will populate. Type your email hit the Celigo button. This will send your email and save it to the record you are on.